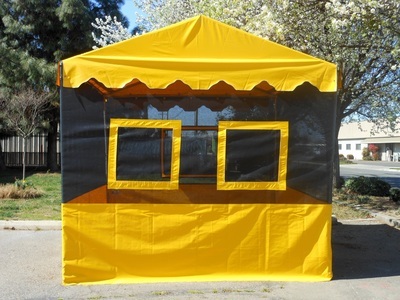 We have a huge color selection and can make your tent in a variety of color combinations. This is our "A" frame style of booth. 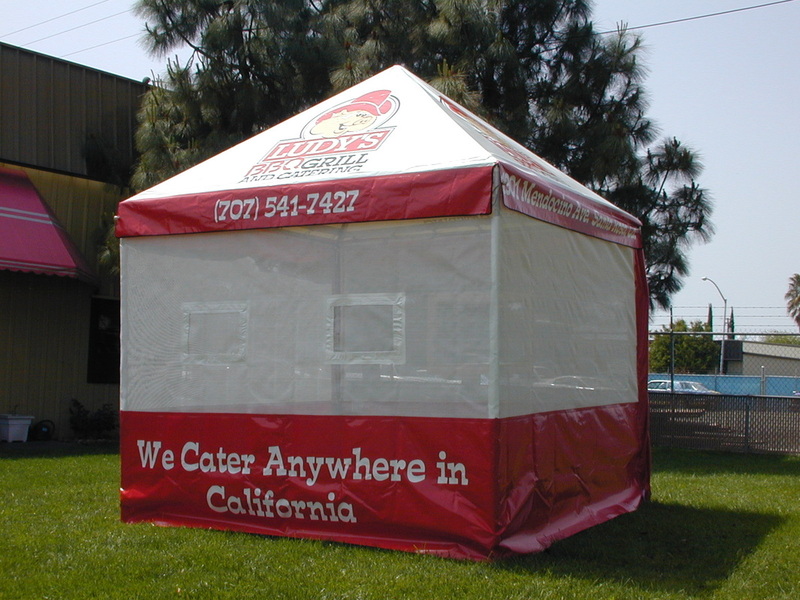 You can customize your tent with a logo and banners. 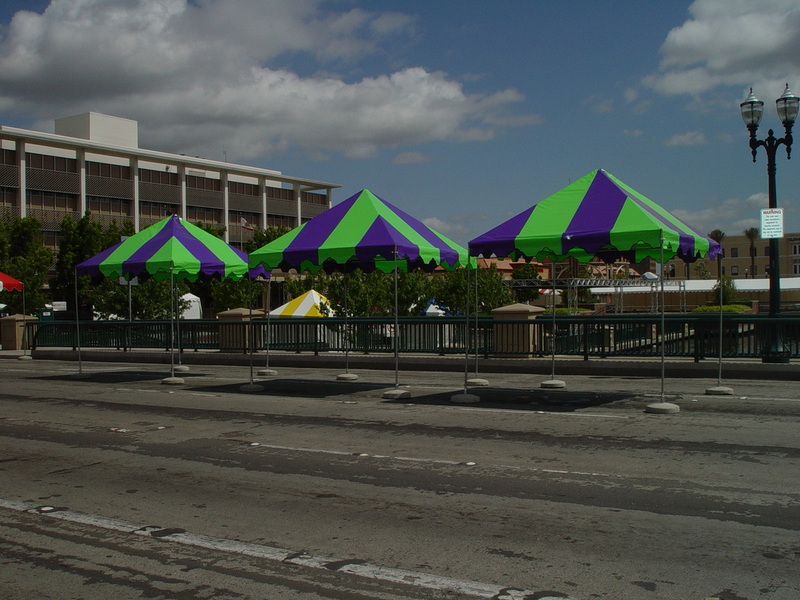 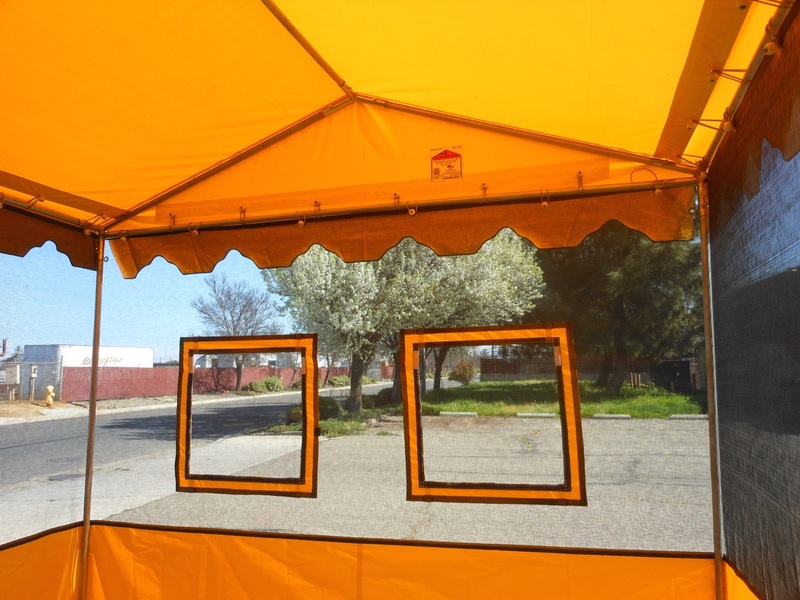 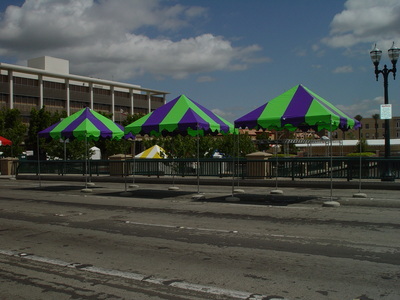 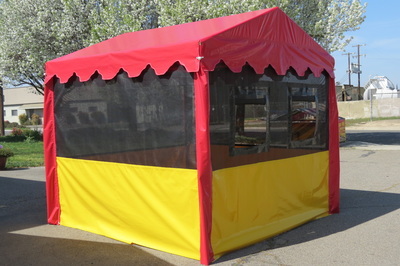 Featured in our slide show above is our 10 x 10 x 7 Trimline Food Booth tent. 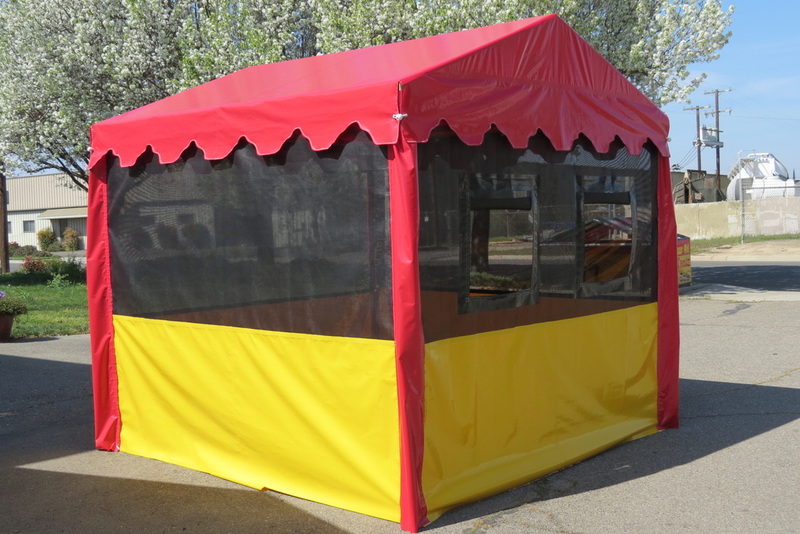 This unit starts out with our standard Trimline 100 frame which consists of 1 3/8" steel fence tube pipe making it very durable. 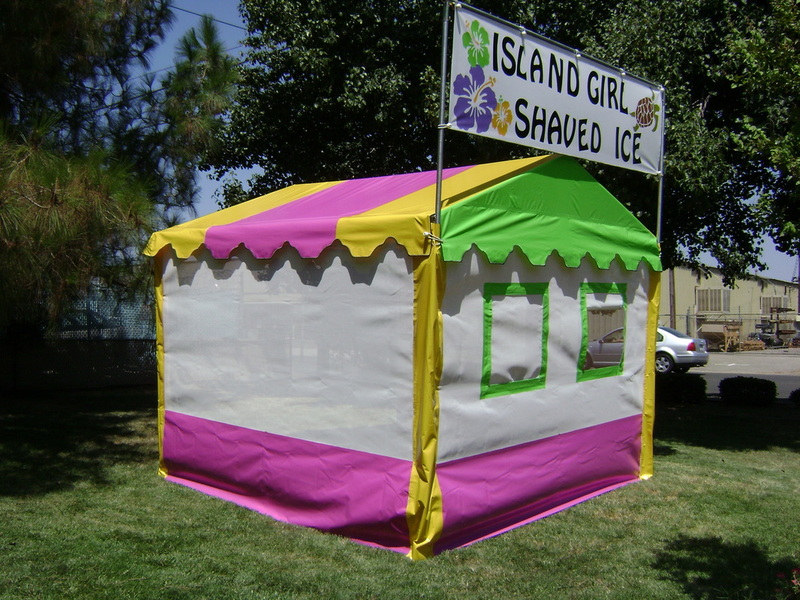 The tent frame with top attached weighs 98 lbs making it easy to put up and down with a 7 ft leg. 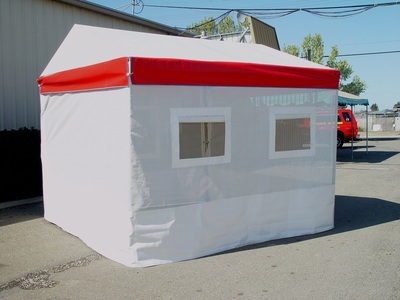 The tent can be ordered with a commercial 8 ft leg height as well. The top and walls are all manufactured from 14 oz. 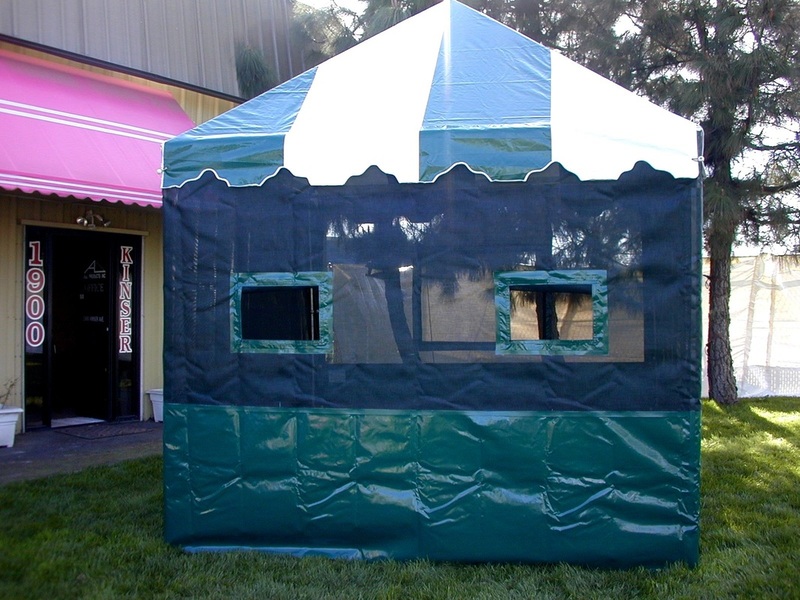 vinyl laminate that is RF welded for a strong water tight seam. 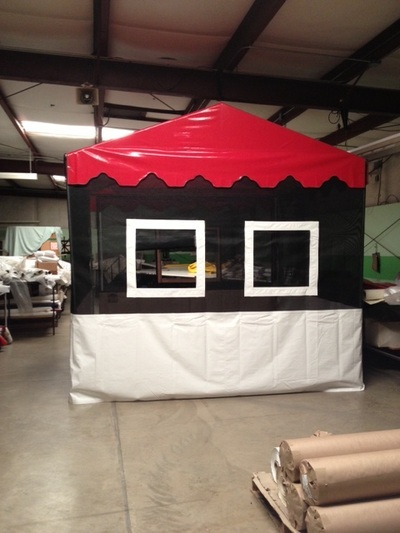 All materials are American made which we at A & L Products, Inc. feel very passionate about in our manufacturing process. All tents are manufactured with certified fire retardant materials. 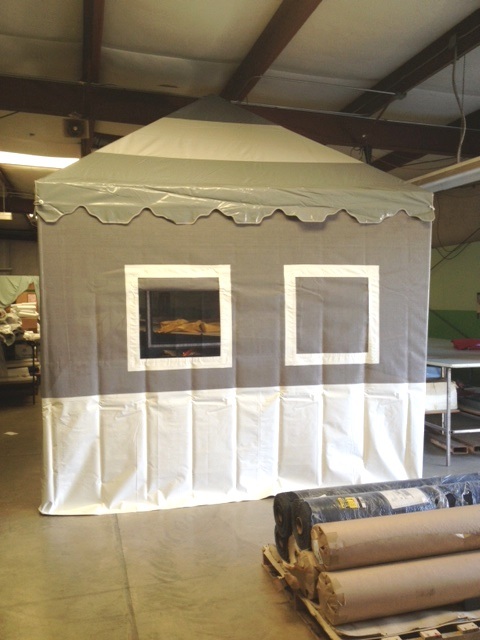 Each tent will be labeled on the interior side of all components. 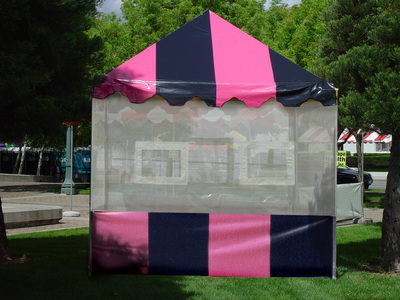 You will also be provided a certificate that may be need when you get permits for events and when you are inspected by the local Fire Marshall.